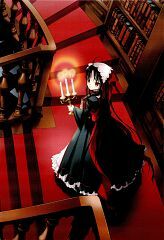 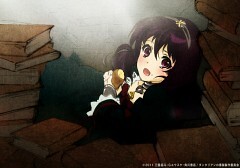 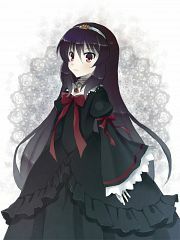 82 anime images in gallery. 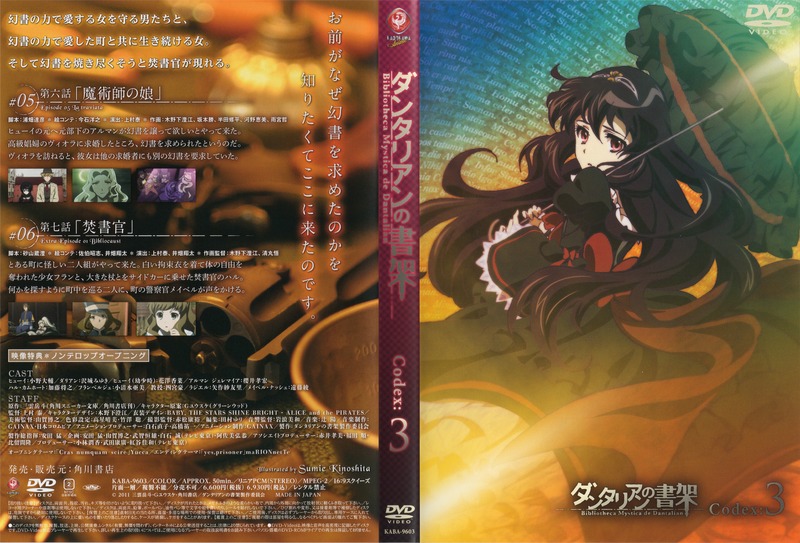 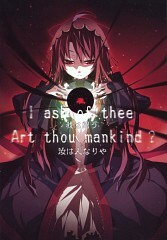 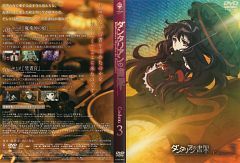 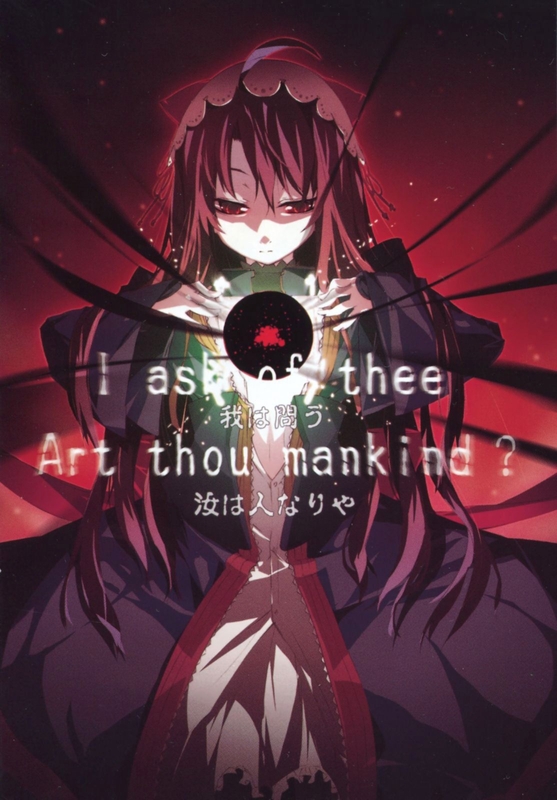 Tagged under Dantalian no Shoka and Sawashiro Miyuki. 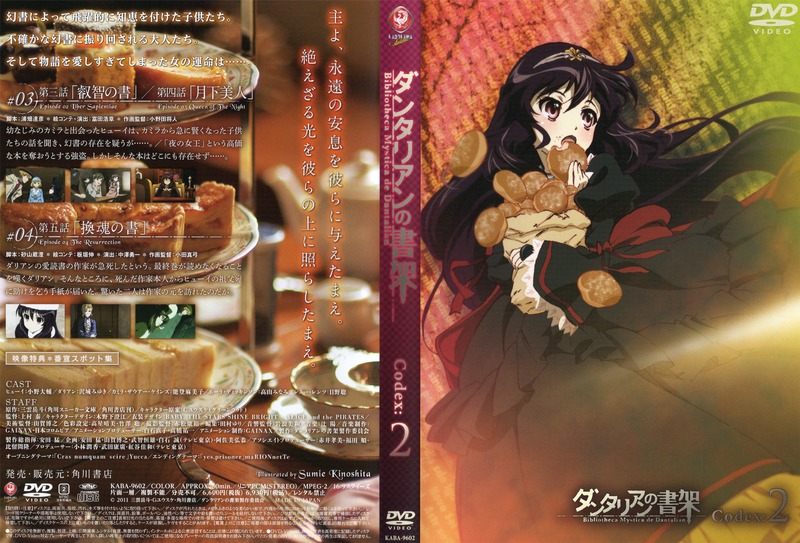 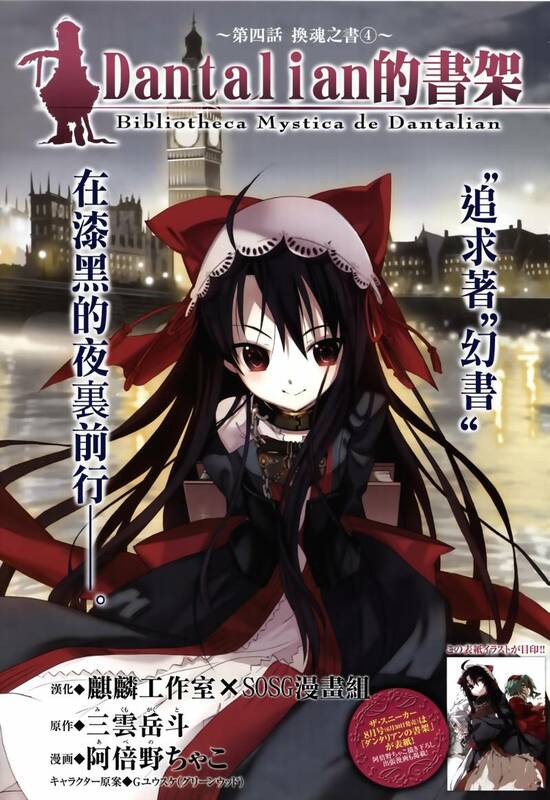 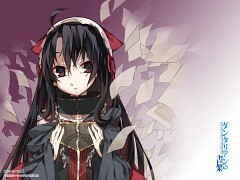 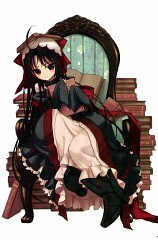 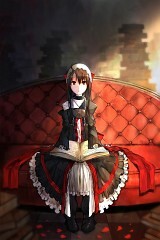 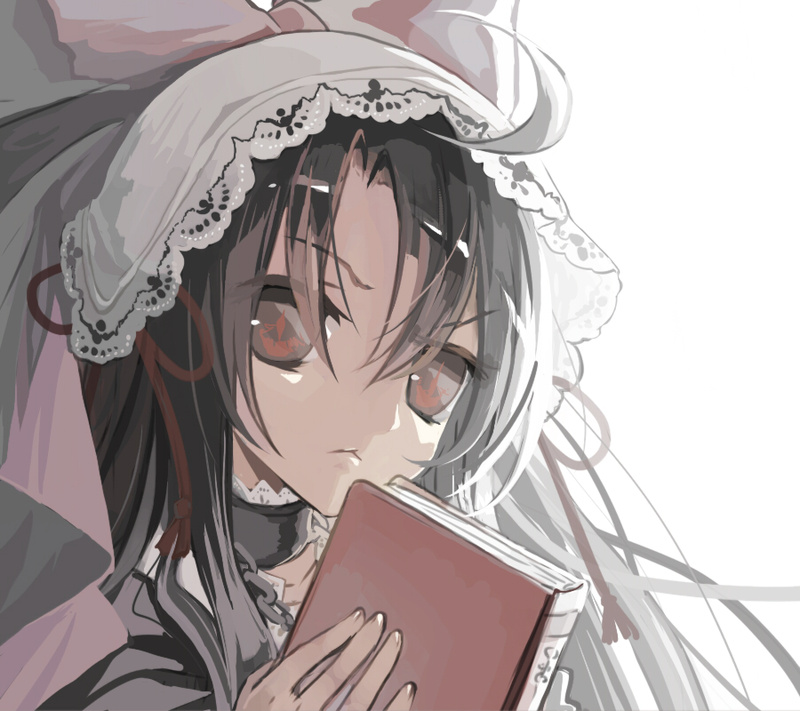 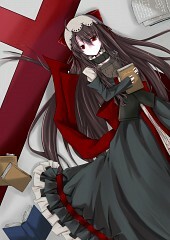 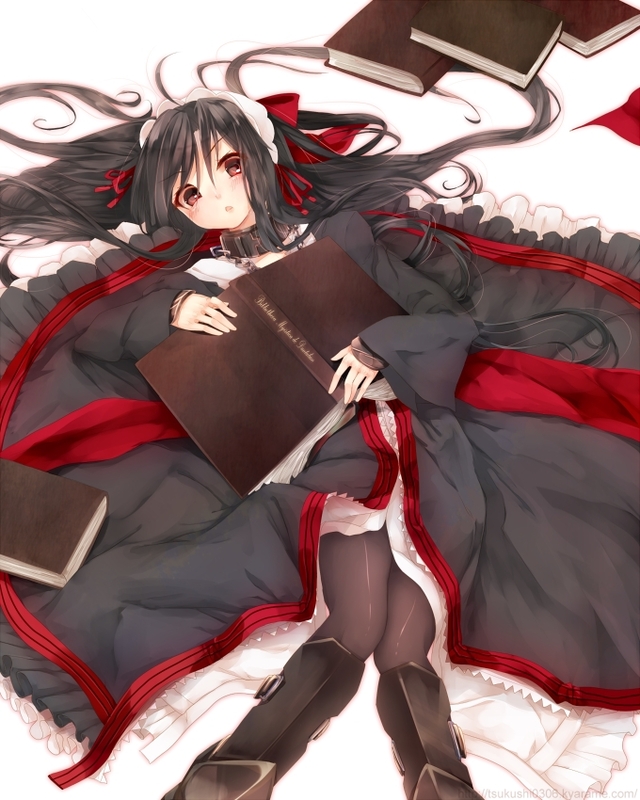 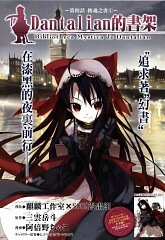 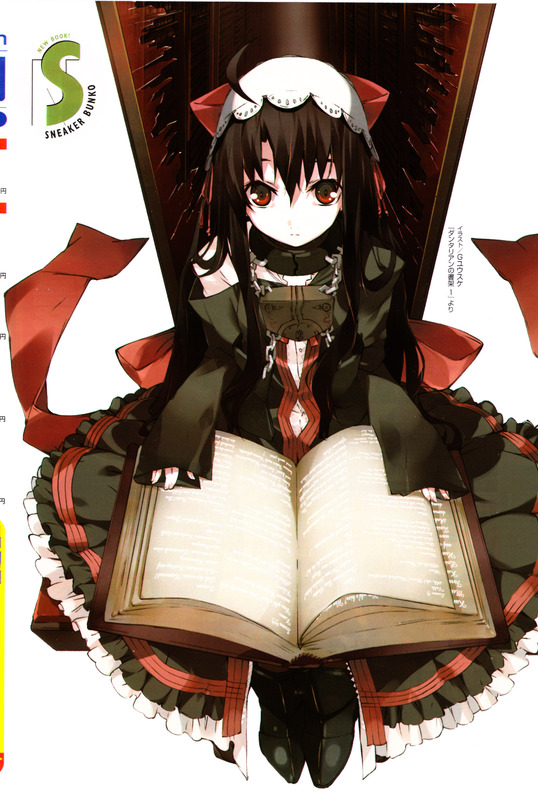 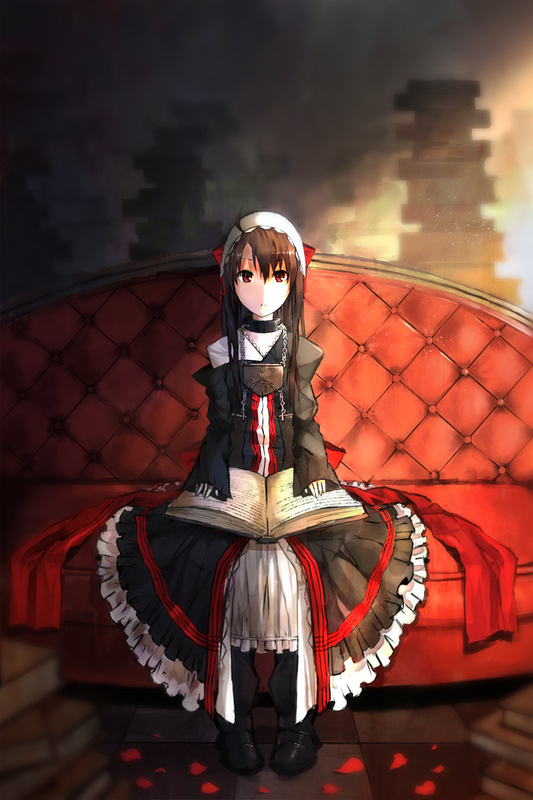 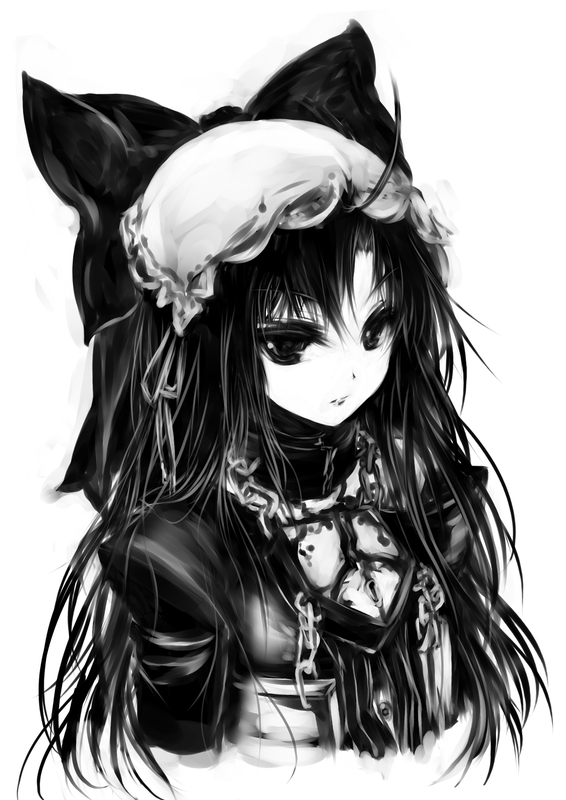 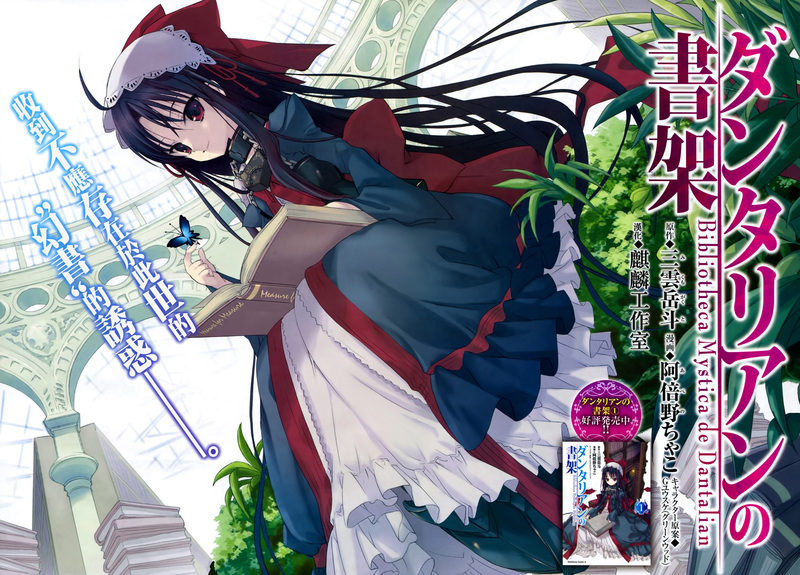 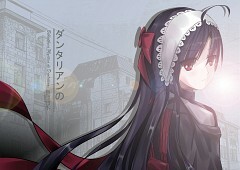 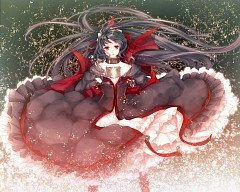 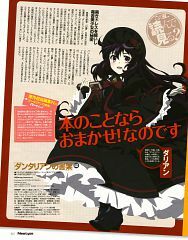 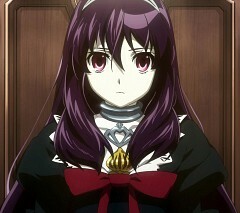 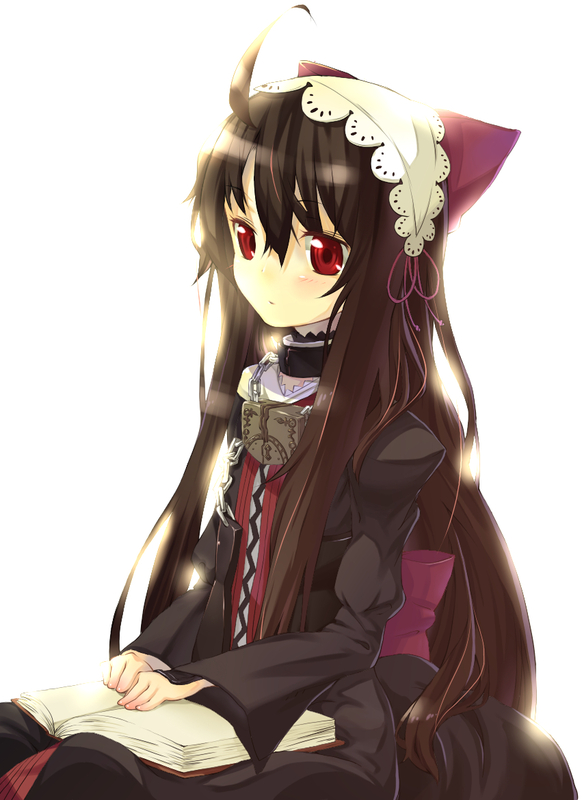 The Kuro　no Yomihime (黒の読姫?, literally "black reading princess"), or Black Biblioprincess. 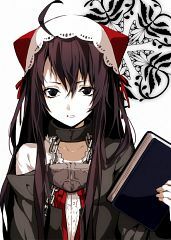 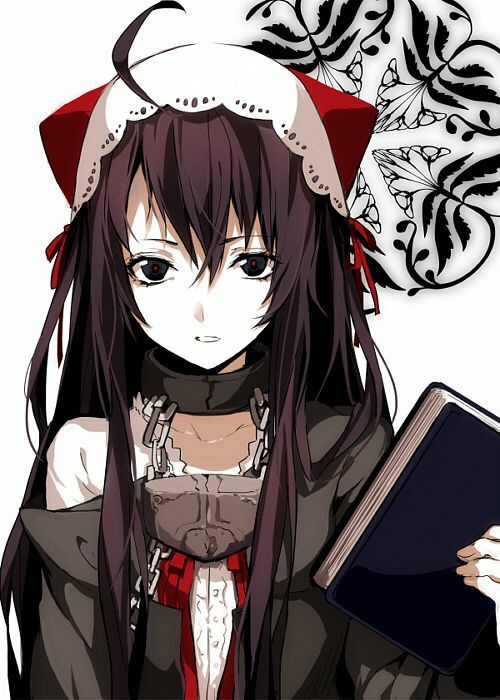 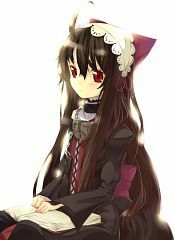 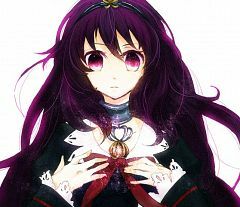 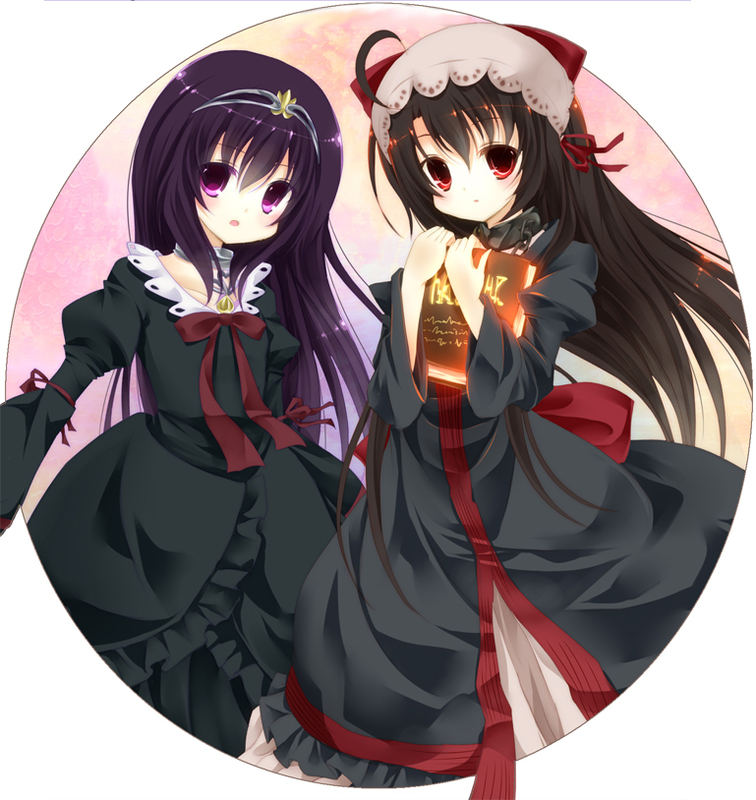 A young girl with long black hair tinted purple and large dark pink eyes, she is the custodian of the Bibliotheca Mystica de Dantalian housing 900,666 phantom books. 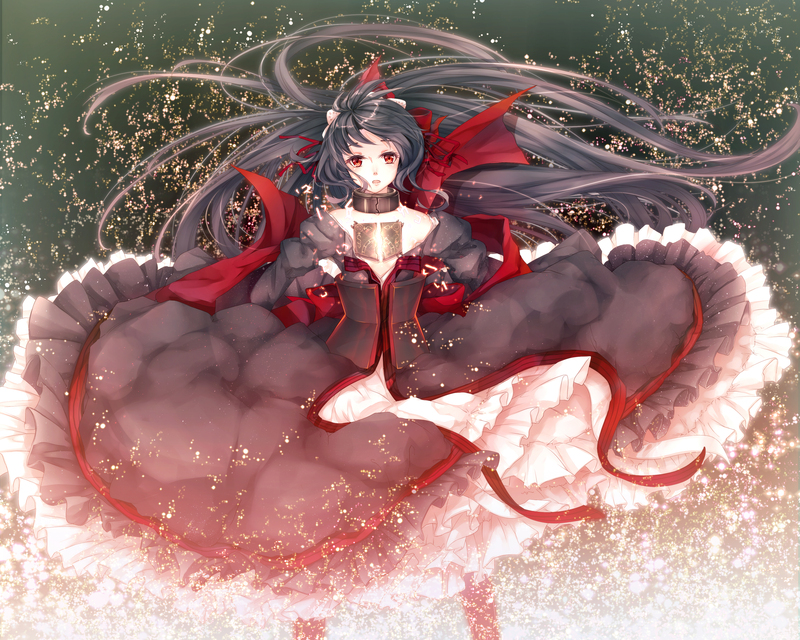 Because of this, she generally considers herself of great importance and believes to be more knowledgeable than most humans, even going so far as to praise others in a presumptuous manner when they exhibit more wisdom than she anticipated. When asked a question that calls for a "Yes" or "No" answer, she will reply appropriately in English rather than Japanese. She is often seen as a judgmental and arbitrary character, which clashes with her unexpected weakness for sweets; whenever presented with something sweet, or the opportunity to eat something sweet, a small lock of her hair will flick out from the rest of her head. 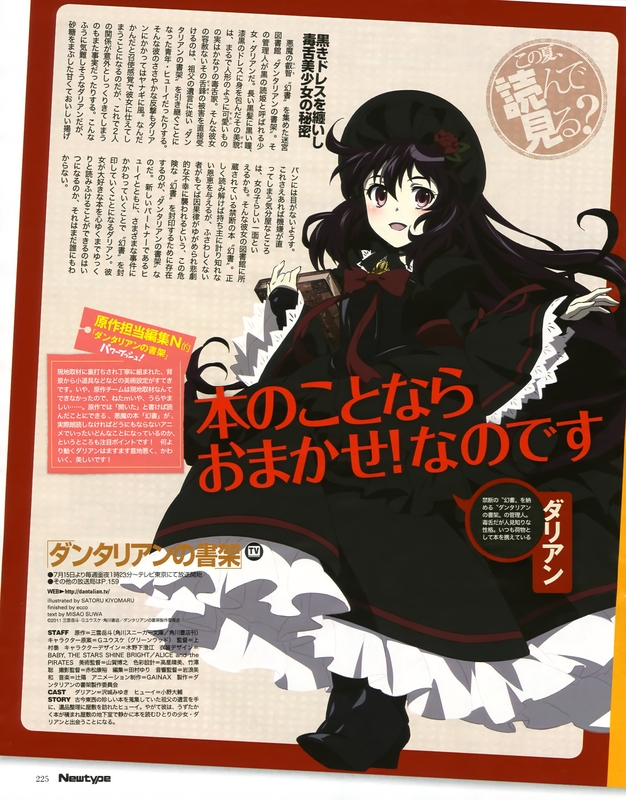 She and Huey appear to share a very formal and business-like, but lighthearted, relationship at first but later on in the anime as we learn slightly more of how the Phantom Books work, we also learn how Dalian truly feels about Huey.